A fresh Kickstarter project to manufacture and sell mealworm hives so you can have a replenishable source of protein in your own home has already reached 60 percent of its $100,000 goal. The Western world has been looking at insects as a sustainable source of protein for some time now — as they require significantly less feed, space and energy than cattle to produce the same amount of nutrients, as well as offering a range of health benefits. 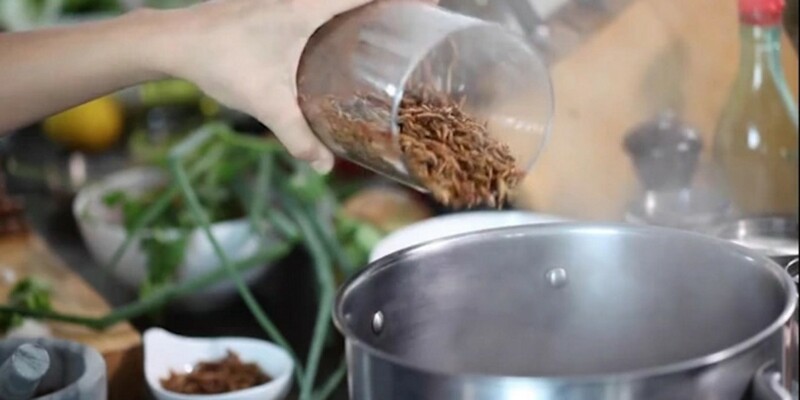 This isn’t even the first crowdfunding campaign to advocate edible insects. Eating insects as food isn’t anything new either — they’ve been a huge part of Mexican and Chinese cuisine for centuries, as both delicacies and street food. But as they aren’t part of the Indian food culture I grew up with, I don’t see how I’d assimilate mealworms into my regular dietary habits any time soon. It’s not just the notion of spending $450 on a system to grow insects in my kitchen that I don’t get, but also the idea of using them in my cooking while phasing out other meats in the process. It feels something like asking a vegetarian to try working meat into their diet. The move requires more than just a new ingredient on your plate: it needs a significant change in mindset. There’s a reason why you don’t see Mexican Chapulines (crispy grasshoppers) and Chinese scorpions (a popular snack in Beijing) in food trucks outside their native markets. Beyond that, the major advertised benefits (reduced use of natural resources and farmland to rear protein, overall contributing to a significant reduction in greenhouse gas emissions) is unlikely to be realized until it’s widely adopted across the globe and other sources of protein are scrapped. That’s not to say I’m not intrigued by the Livin Farms Hive: to be able to grow my own food and know where it’s coming from would be incredible. But for me, it’s an idea that’s ahead of its time.